Trust services to the local appliance experts. Come to us. 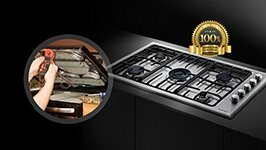 At Appliance Repair Baldwin Park CA, we have the experience to offer high quality service promptly and reasonably priced. You don't have to wait or worry about expensive rates with us. We are here to tackle appliance problems and serve your needs. You can turn to our Baldwin Park appliance repair team no matter what your request is. You can schedule your repair but also maintenance and installation. Our appliance service technicians in Baldwin Park, California, are here for you. Whenever home appliances fail to operate right, depend on our quick repairs. Every time you want to install new ones or maintain the existing laundry and kitchen units, call us. You can find us easily. And that's vital when washers leak or fridges don't work. Choose to call us or send us your request by filling our online form. In either case, you can rely on our quick time of response. Why choose our appliance service team? 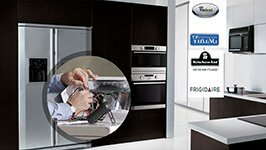 Our pros offer same day appliance repair service. We have troubleshooting expertise and the skills to diagnose problems correctly. All jobs are done with the right equipment. We only offer quality appliance parts. Our job is not limited to repairs but extends to new appliance installation and preventive service. Our services are all affordable. 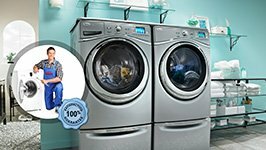 All laundry and kitchen appliance technicians are qualified, well-trained, certified, and licensed. How can our appliance repair techs help you? 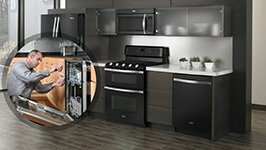 Tell our appliance repair pros what you need. Don't hesitate to share any appliance-related concern or call us to install new units. Installing new stoves, washers, ovens, or ranges correctly is important not only for their functionality but also for your safety. 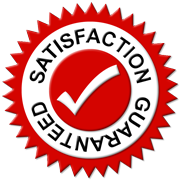 With experience and dedication, we install gas and electric appliances no matter which type or make you choose to get. It's equally crucial to keep appliances running without wasting energy or giving you trouble. The solution to such concerns is regular appliance service. We come once or twice a year to check and maintain your appliances. What you gain is peace of mind knowing that all appliances work as they should and don't waste energy. Need home appliance repair? We are always at your disposal to fix issues. Faulty freezer? Trouble with the oven? The microwave is sparking? The washing machine won't drain? We arrive to your kitchen or laundry room as soon as possible. Our techs are always prepared to troubleshoot and isolate problems. We fix appliances for good. Keep the phone number of our Appliance Repair Baldwin Park company. Call us if you want service or a free quote.